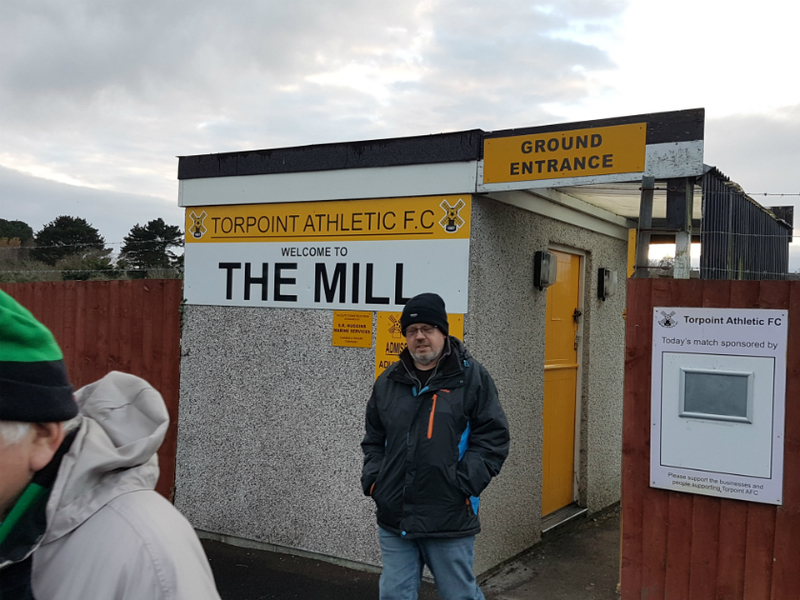 St Blazey arrived at the Mill with only 12 fit players for their second round Cornwall Senior cup tie against Torpoint. Dan Perryman was still unable to play due to illness while Ollie Deadman and Josh Harris were both out with hamstring injuries. Joe Stone and Matt Hayden were unavailable due to work commitments while Jason Vincent was back at university for another week. 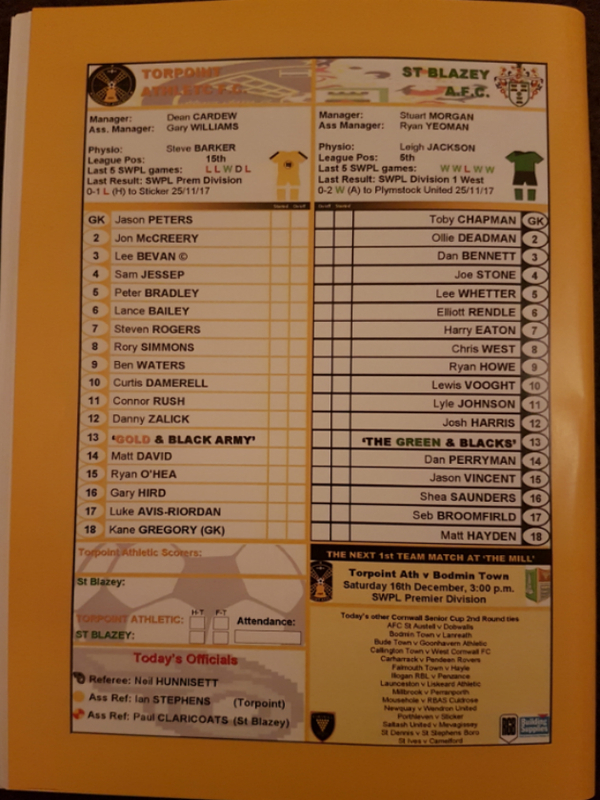 Dan Bennett went into central defence with Lee Whetter and Seb Broomfield made his first start since his return to St Blazey. 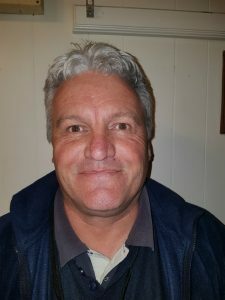 Paddy West started on the bench. The Mill has seen another stand built in the last 12 months that is almost complete. 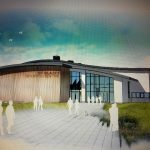 A brilliant addition to the ground. 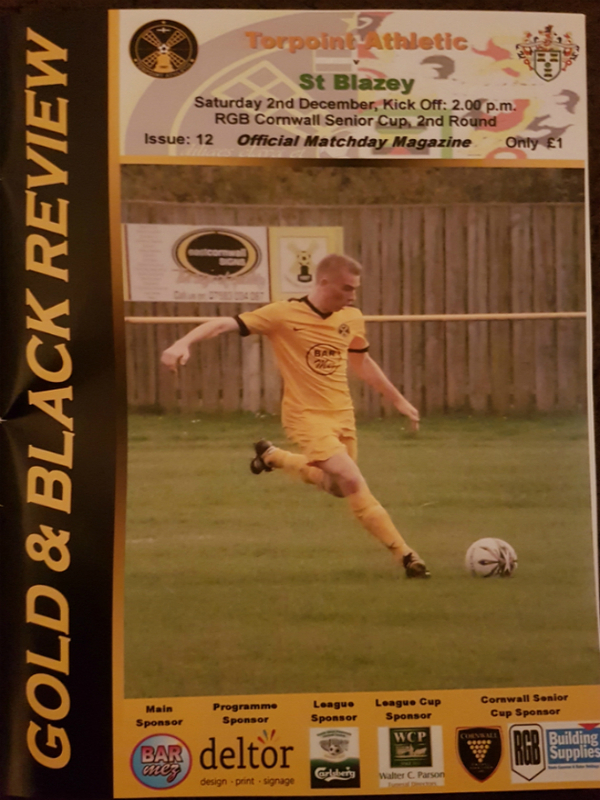 The pitch and surrounding areas looked superb and today’s match day program is the best we’ve seen on the road this season. Many clubs in the S.W.P.L could learn from their improvements over the last few years. 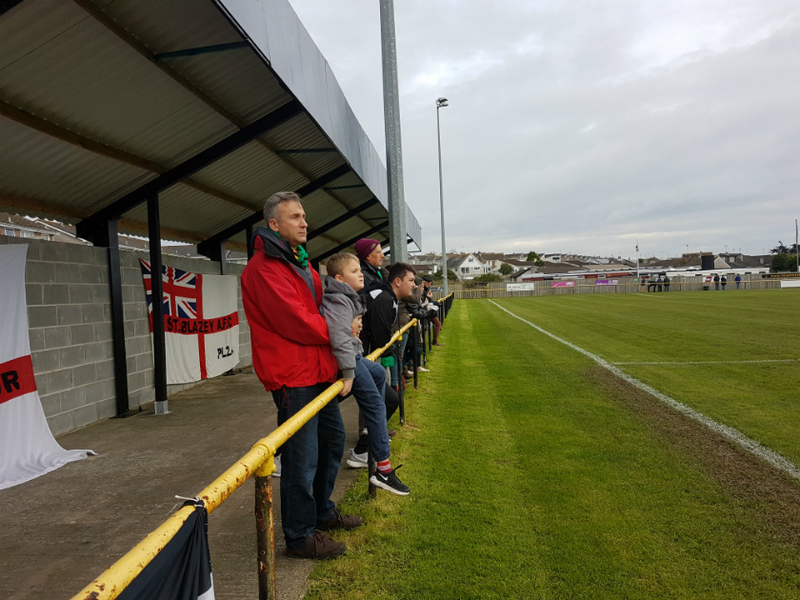 St Blazey kicked off and the match began at a frantic pace. 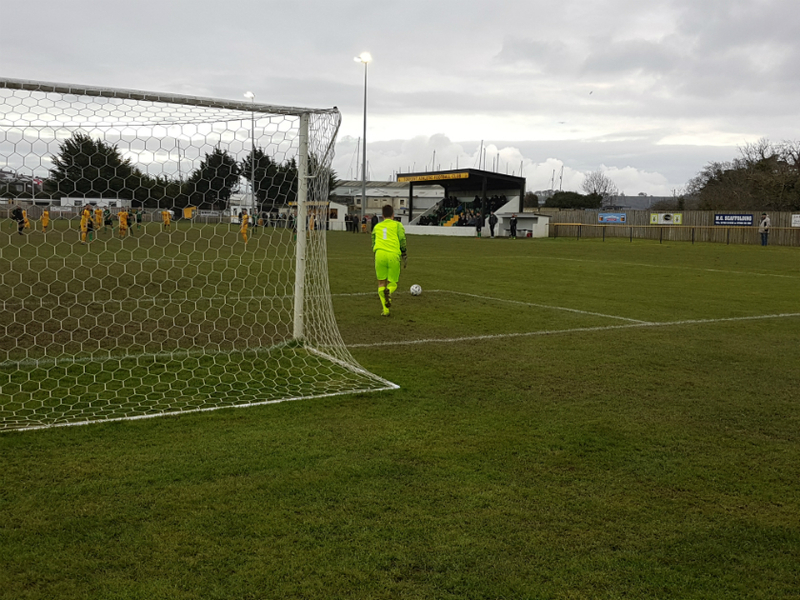 The first half chance fell to St Blazey when Yeoman took the ball down and played in Broomfield on the left who shot low across goal but never troubled the Torpoint goalkeeper Jason Peters. 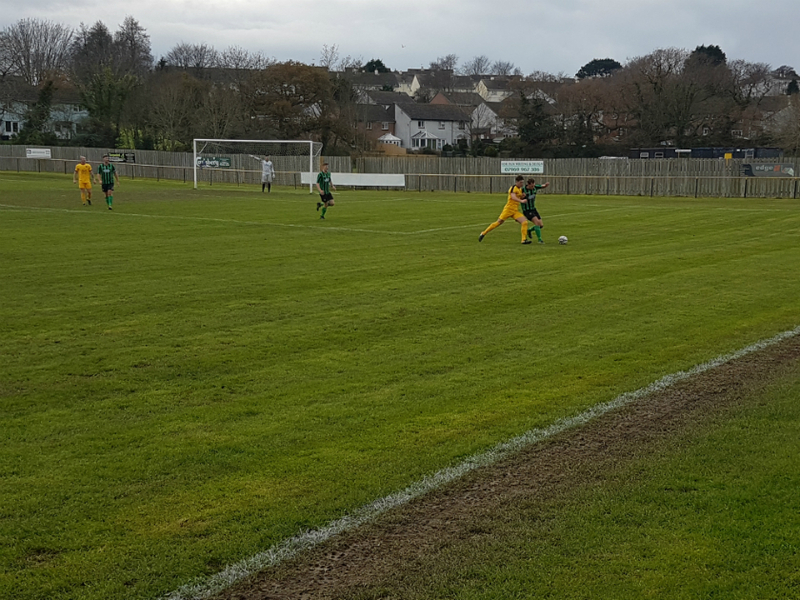 Harry Eaton was getting the ball down and controlling the midfield for St Blazey and his run opened up the pitch down the right and his low cross back across the box was left for Morgan running in, but he couldn’t get his shot away. 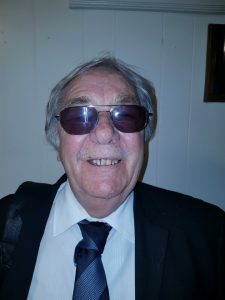 Morgan had his first effort on goal minutes later when he was played in down the left, where he volleyed the bouncing ball but sliced it well wide. 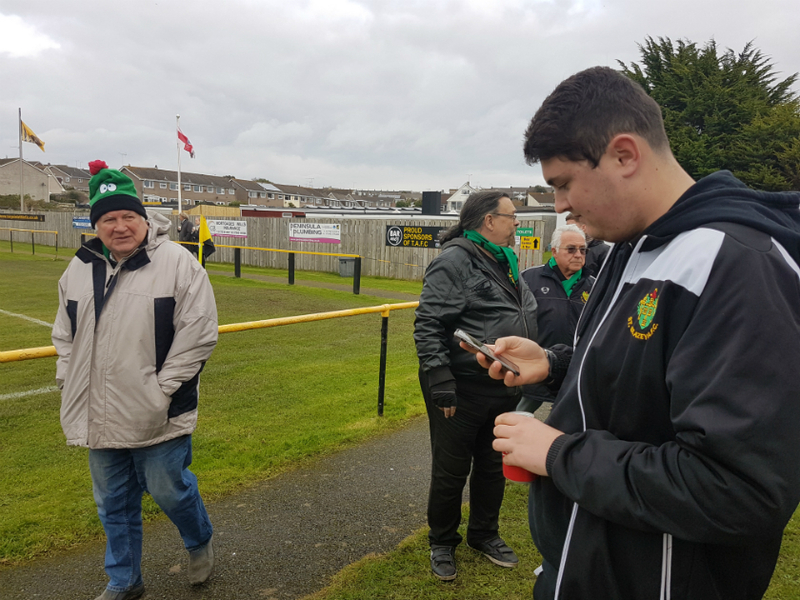 After a good opening for St Blazey, Torpoint came into the game and ex St Blazey striker Danny Zallick had the best chance of the game when one ball cut through the St Blazey defence only for Zalick to see his low effort brilliantly saved by Chapman in the St Blazey goal. Chapman was suddenly being kept busy and a move down the left saw a great defence splitting cross with a diving header which was well saved again. 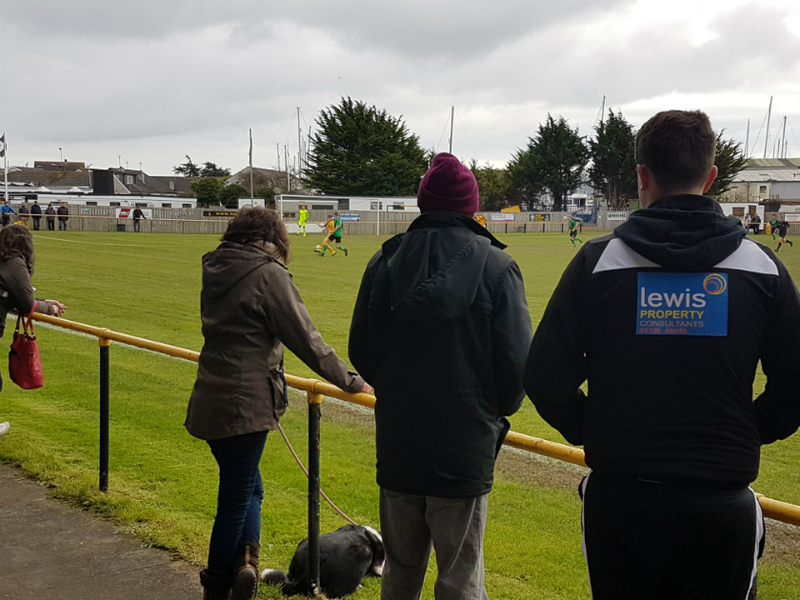 Morgan was booked for complaining after being injured by several late challenges much to his disbelief while Torpoint continued to test St Blazey with a couple longer range efforts that didn’t trouble Chapman. 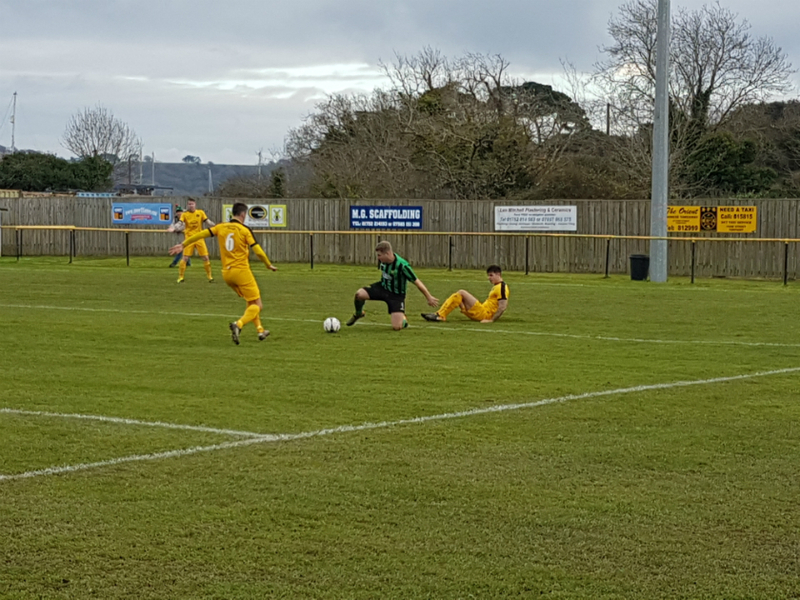 10 minutes before half time Torpoint broke down the right and the ball into the box was intercepted but only in the air and Lewis Vooght stuck out a leg to clear the ball only to catch the Torpoint player and the Referee pointed straight to the spot. 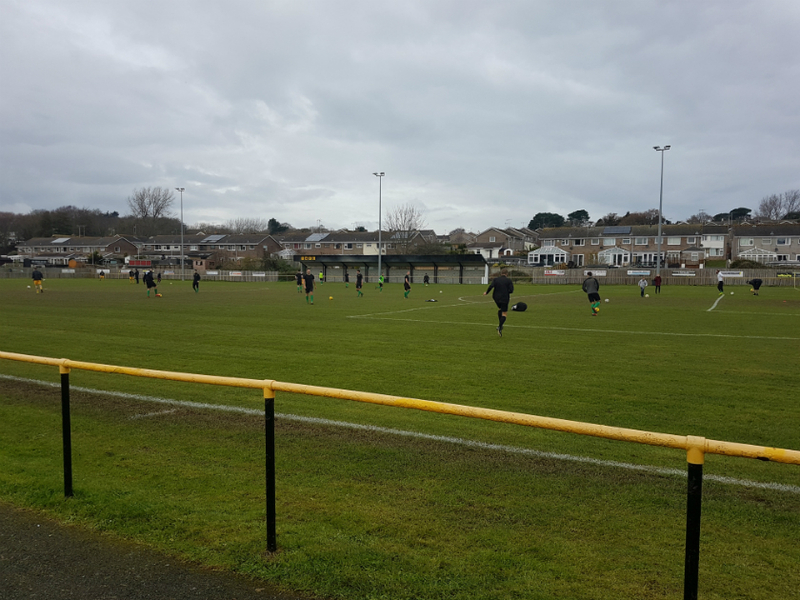 Up stepped Lee Beven who’s penalty wasn’t great and just managed to beat Chapman down the middle of the goal to put Torpoint 1v0 up. 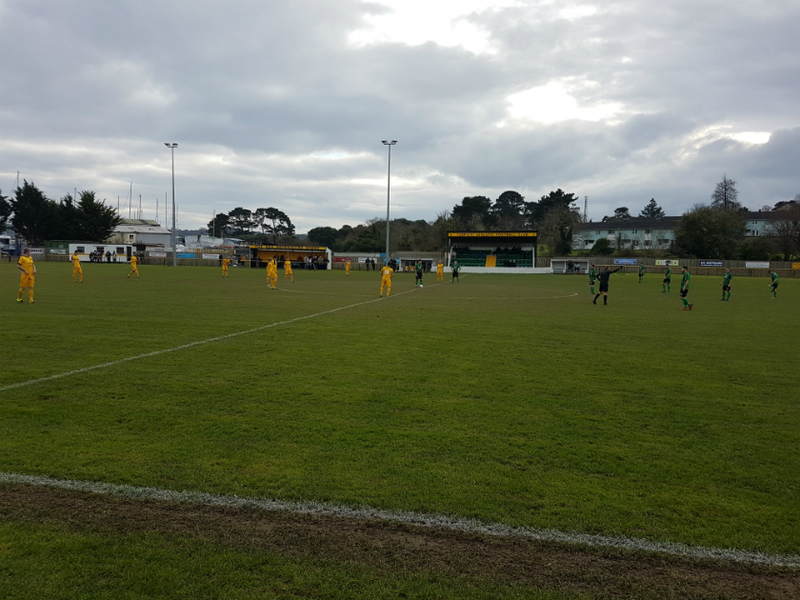 St Blazey got hold of the ball for a brief spell and Eaton had a shot from all of 20 yards but dragged it wide. Peters in goal had to be alert to keep out an awkward bouncing shot from Johnson which was pushed behind for a corner. 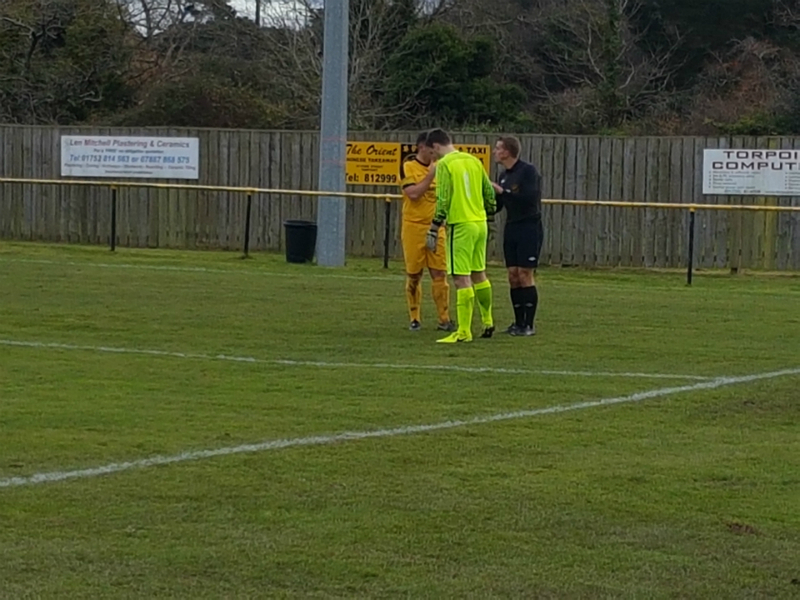 Just before half time Eaton picked up a yellow card for stopping a break away with a foul in front the Torpoint bench much to their disgust. 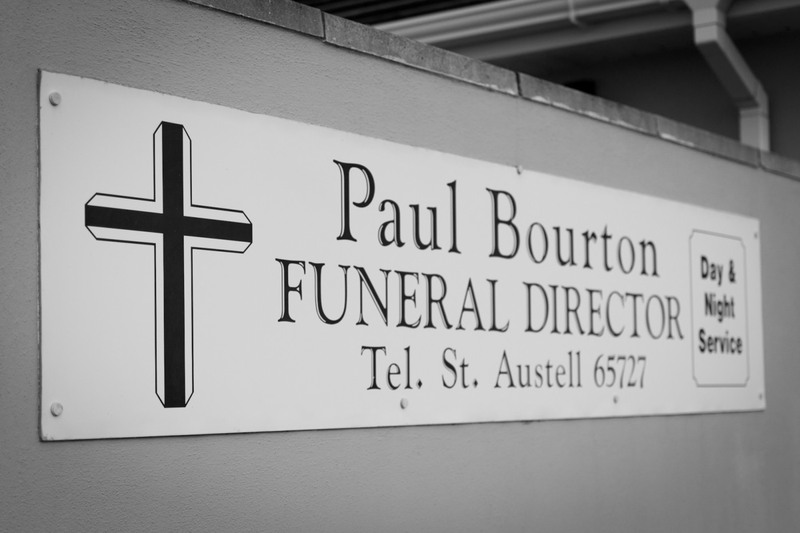 St Blazey were almost punished early in the second half when they won the ball on the half way line but a miss placed pass across the middle was intercepted and Torpoint broke down the right and the cross come shot flew across the box with no one getting a touch. From there St Blazey dominated play with attack after attack but just not testing Peters in the goal enough. Morgan had one free kick saved after Yeoman was up ended while Elliot Rendle was causing all sorts of problems down the left. After working his way past three players Rendle drilled the ball low and hard across goal, but no one was running in to get the touch that was needed to score. St Blazey continued to see lots of the ball but poor balls into the box were not testing enough when they worked good positions. 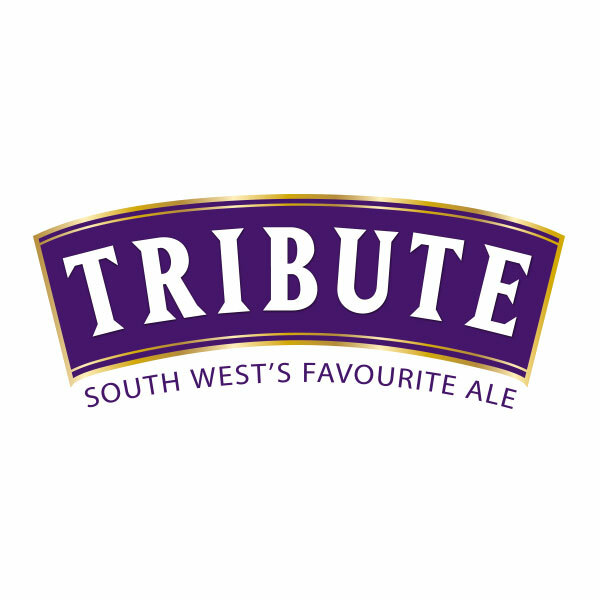 Paddy West came on for Yeoman for the last half hour. 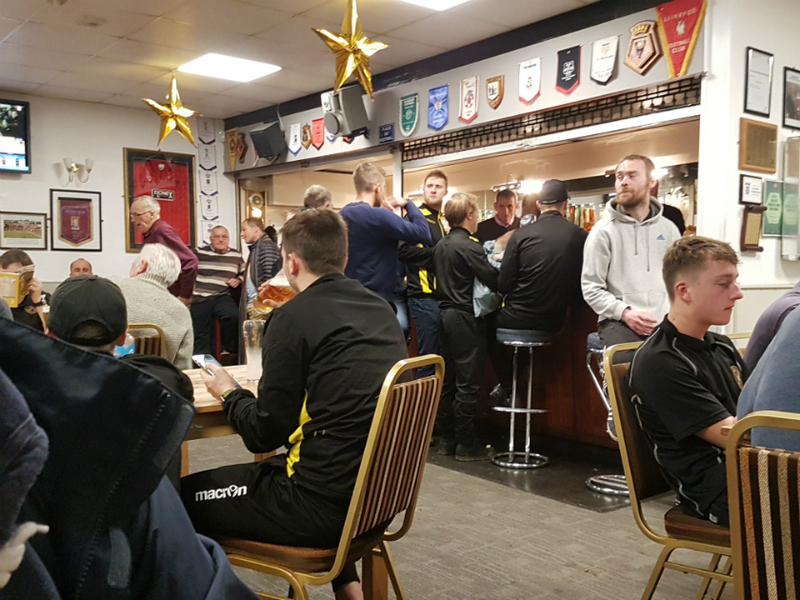 Torpoint almost doubled their lead when they broke away down the left and the Torpoint player cut inside and his effort smashed off the top of the bar with Chapman beaten. 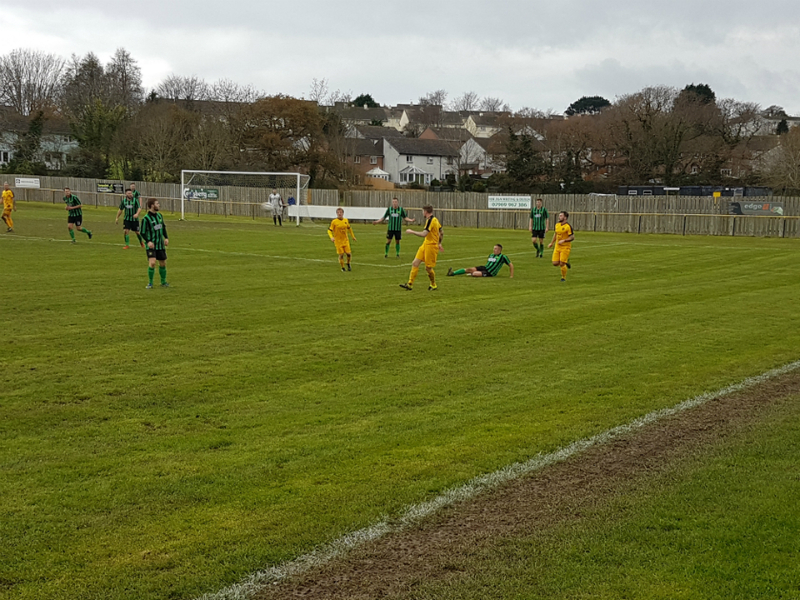 The ball was crossed back in with one effort blocked and then Dan Bennett had to brilliantly head over the bar to keep St Blazey in the tie. 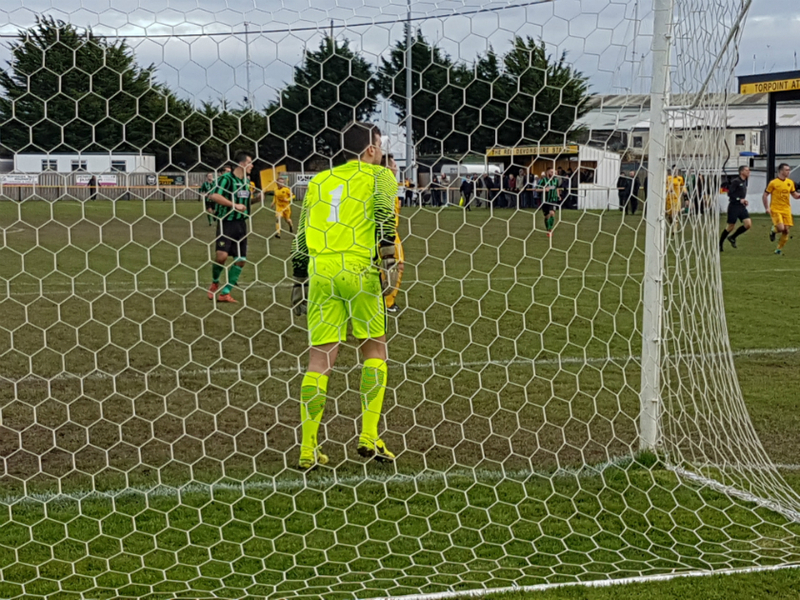 Chapman saved well after a shot from the right and St Blazey were still in with a chance but just couldn’t test Peters in goal enough for all their good build up play. 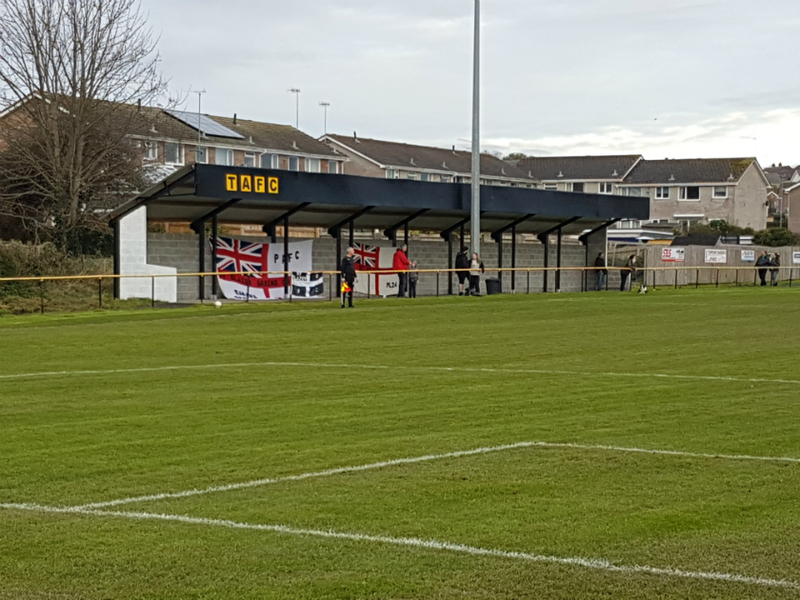 Torpoint finally secured the win with a few minutes to go when a corner was swung in and headed home by Pete Bradley. 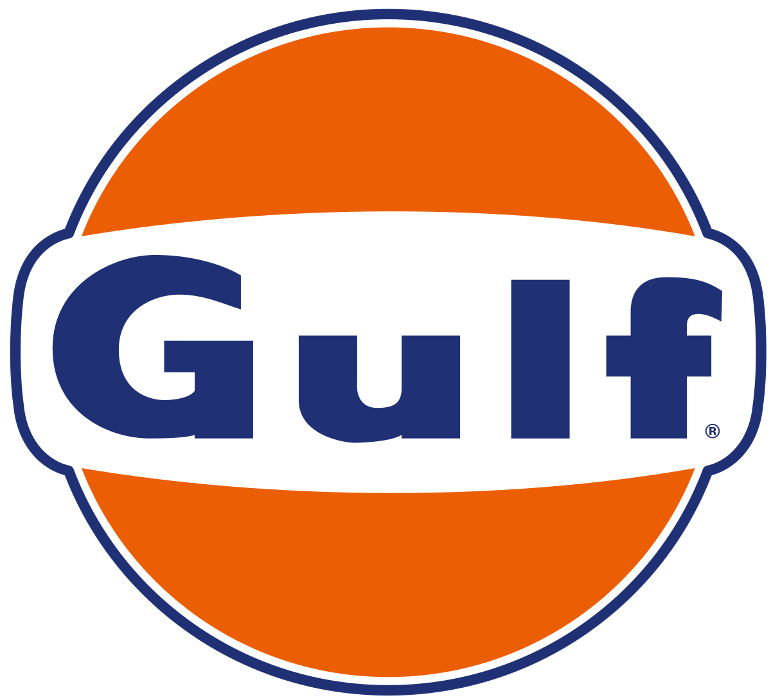 Man of the match. 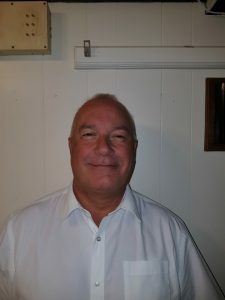 Harry Eaton. Got the ball down and controlled the midfield. Always willing to get forward and make things happen. 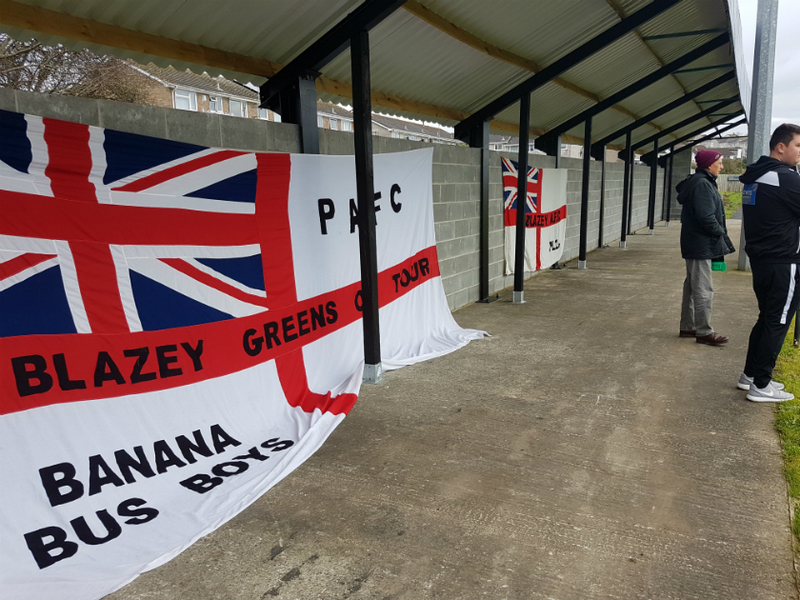 St Blazey return to league action next Saturday with their first ever trip to Plymouth Marjon.